I don't know about you, but everytime I log on to the computer and go through my blog roll, which always leads to a few links here and there (I never know where I'm going to end up)....I always find new things to do and try. One day last week I went to one of my favorite places, giverslog.com and found this cool post about the most delicious homemade pesto. 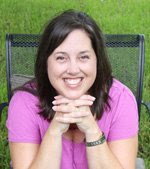 And, better than just a recipe and amazing photos, she shared a really awesome download for your own printable labels. Well, with homegrown basil in my backyard (we finally tried basil AND tomatoes this year) I couldn't resist....I had to put some together. I followed the recipe exactly, using my Cuisinart and it was so simple...and tasty! And, it couldn't have come at a better time, because I needed a quick and pretty hostess gift to bring to a dinner on Saturday night. 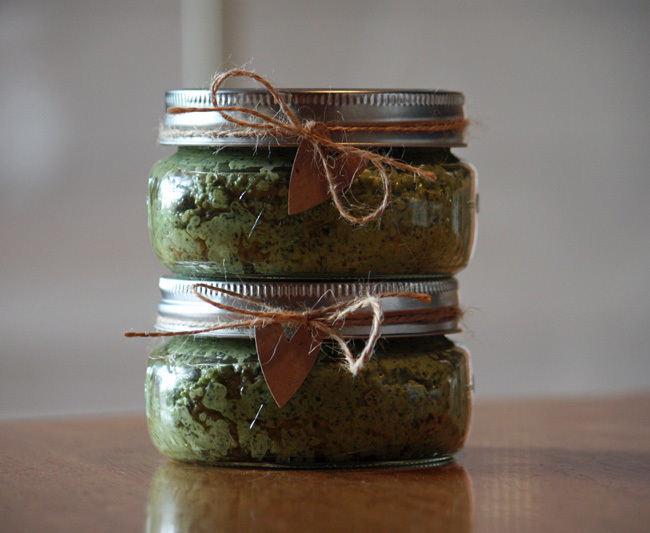 This recipe actually made three jars so I was able to keep one for myself. We are sampling it tomorrow night over some pasta and shrimp. 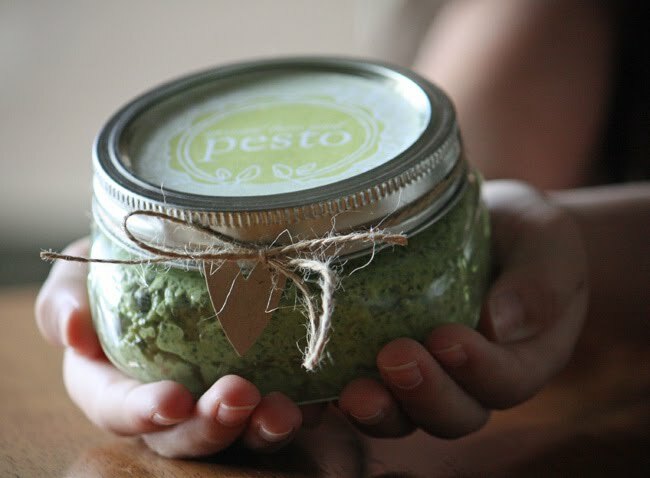 Here's a shot of the label I used....I love the sentiment... "spread love and pesto"
I am just going to say "yummy". I received one of these jars of pesto and it was delicious! Thanks Carla - you are the best!